The 1987 Stanley Cup playoffs, the championship of the National Hockey League (NHL) began on April 8, after the conclusion of the 1986 – 1987 NHL season. 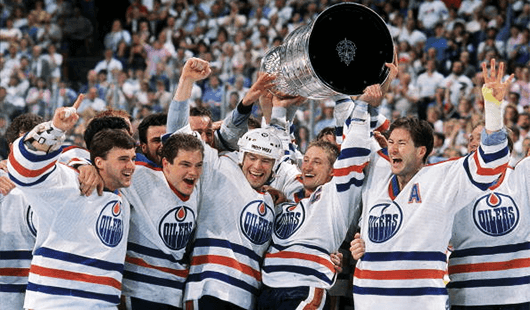 It concluded on May 31, with the Edmonton Oilers defeating the Philadelphia Flyers to win the Stanley Cup. In an attempt to reduce the number of first round upsets, the NHL expanded the best-of-five series in the first round to a best-of-seven series.